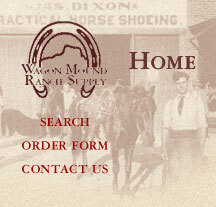 Since 1983 we have been known for not only carrying a full line of farrier supplies but also for items that compliment the western lifestyle. 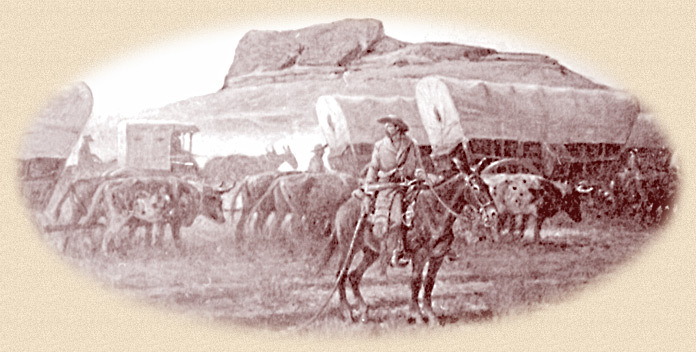 These items include horse gear, western books and western music as well as western camping equipment and western cooking supplies. Wagon Mound is located on the high plains of northeast New Mexico. It is home to vast herds of cattle, good quarter horses, 415 people and one website. However, we are no longer there. We are now located in the old Solano Gym in Solano, NM. 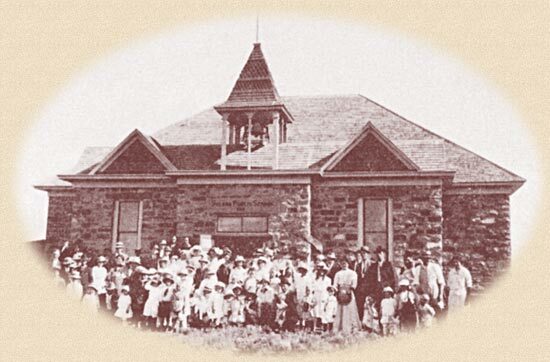 The original part of our building was constructed in 1911 as a schoolhouse and converted into a gymnasium in 1930. This great old building provides us with oak floors under our feet, knotty pine ceilings over our heads and surrounds us with beautiful sandstone rock walls. For those of you who are not aware of where Solano is located; it's about forty-five miles east-southeast of Wagon Mound on State Highway 39 just about half-way between Roy and Mosquero. Solano lies in Harding county, which encompasses 2,125 square miles in which 750 people reside. It's gorgeous, wide open country with good neighbors and we're happy to call it home. If you'd like to learn more about this wonderful area, go to www.hardingcounty.org/. We are glad you stopped by our website and hope you enjoy your stay. We hope that you find our pages enjoyable and informative. If you like, you can use our search option, to find what you need and be on your way. Please, use our email wmrs@wagonmound.com for any suggestions or feedback. If you happen to be traveling through the area, be sure to stop by and visit. We are four blocks behind the Solano Post Office. We are usually here by 8:00 a.m., unless we have been on the road or sleep in and then it might be 9 or 9:30. We close up around 5:00 p.m., unless we have to go shoe some horses, and then we might need to close by 2 or 3, but, then again, sometimes the lights are on 'til 9:00 p.m. We don't make a habit of hanging around on weekends, but that doesn't mean you won't find us here. One thing for certain is, we hold firm to these hours.